Last year, Campagnolo introduced its long-awaited hydraulic disc brakes, and this week, the company continues its evolution with the introduction of the 12-speed Record and Super Record groupsets. The new 12-speed shifting is currently available for the mechanical versions of the company’s two high-end groupsets and both incorporate the H11 hydraulic disc brakes introduced last year. We take a brief look at Campagnolo’s new 12-speed groupsets and for more, see the company’s official release. Campagnolo’s new 12-speed shifting is currently available for the its mechanical Record and Super Record groupsets. We are looking only at the disc brake versions, but the new 12-speed groupsets are also available for rim brakes as well. Both of the new mechanical groupsets use Campy’s H11 hydraulic disc brake system. The H11 Ergopower controls have been redesigned to improve comfort and performance. 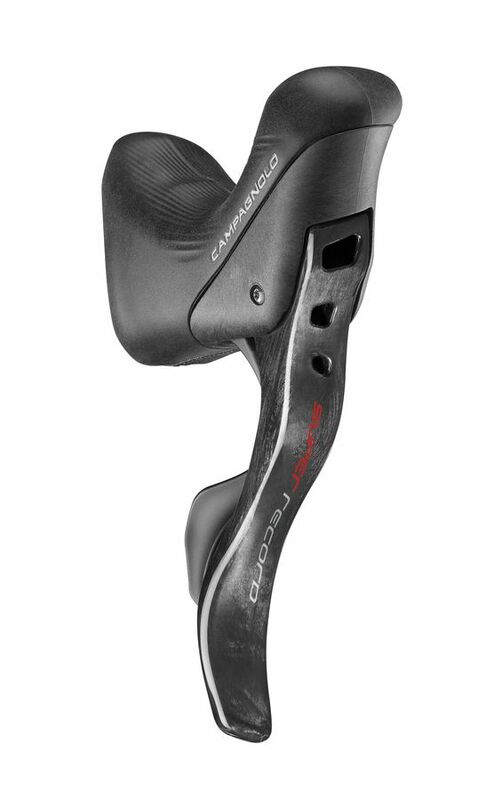 The shift levers are larger and their profiles fit better with the contours of the brake levers, and as with the H11 release, riders can adjust the fit using an Allen wrench with both the Reach and AMS Adjustment features. The updated groupsets also include updates to Campy’s One-Lever, One-Action layout and Ultra-Shift internal mechanism. The upshift movement begins more toward the outside and the larger downshift lever makes it easier to shift under load. The setup retains Campy’s multiple shifting that allows for downshifts of up to five sprockets at a time and upshifts of up to three. Not surprisingly, the new 12-speed group includes a revamped rear derailleur. 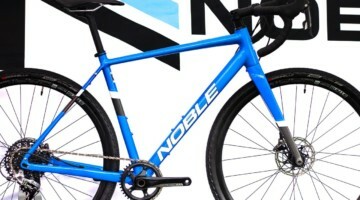 It uses the company’s 3D Embrace technology to fit the smaller cassette sprockets, and Campy designed the unidirectional rocker arm to fit cassettes from 11 to 32 teeth. Campy designed the new 12-speed rear derailleur with the same spacing as its 11-speed model, making it compatible with current wheels and frames. 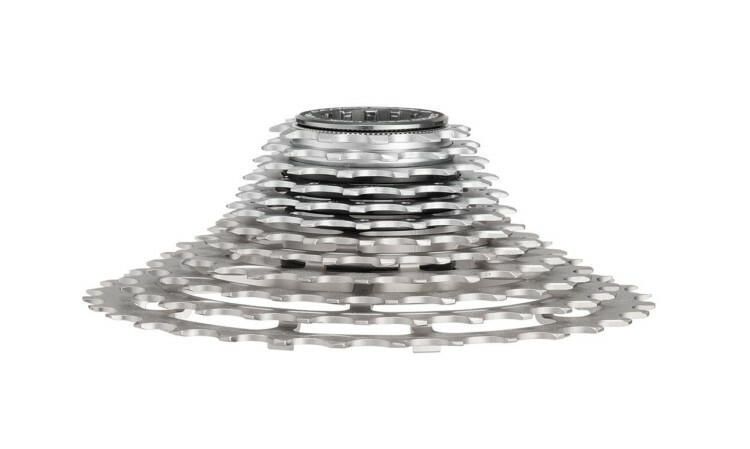 The new 5.15mm chain is narrower, and the sprockets on the cassette are thinner to give the same spacing as an 11-speed setup. The new design fits either an 11-29 or 11-32 cassette, and with 12 speeds, the first eight cogs on the two cassettes add one tooth each. The front derailleur includes an unlinked upper connecting rod that prevents contact with the limit screw. The chain rings have been given dedicated positions to help improve longevity and improve shifting. 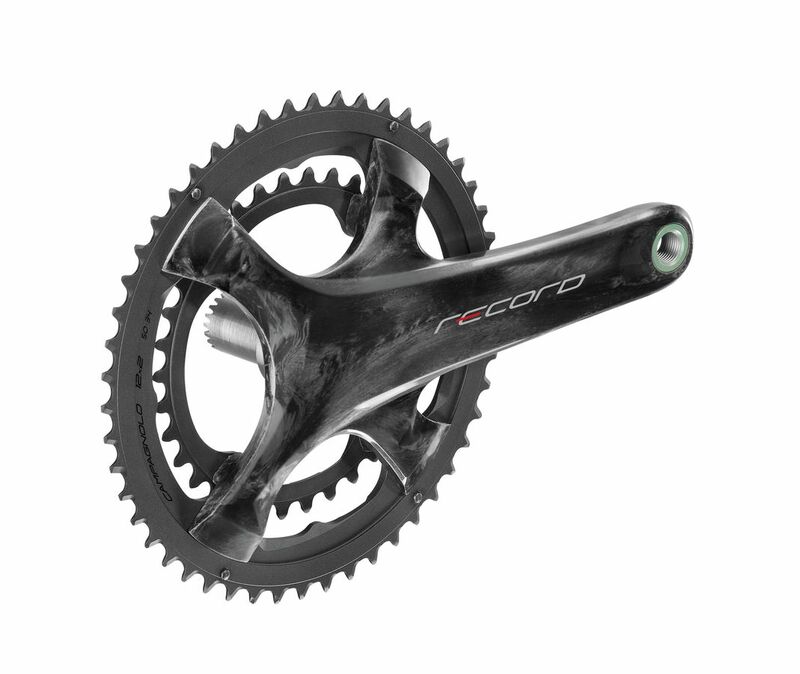 Cranksets keep the four-arm, eight-bolt spider design and are compatible with the available 50/34t, 52/36t and 53-39t chain ring combinations. 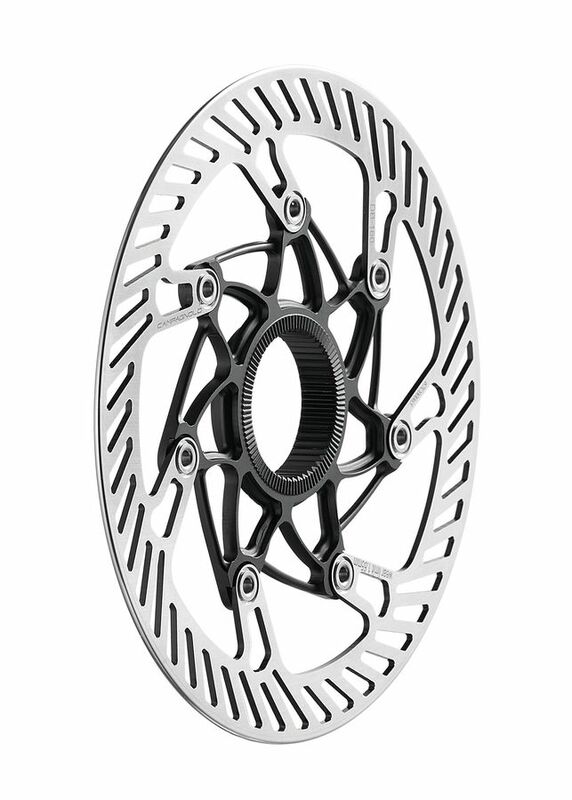 As we noted when we discussed the new disc brakes, Campy is no longer offering the cyclocross-friendly 46/36t combination. The Movement12 crankset can be installed on bikes with 130, 135 and 142mm rear axle spacing while maintaining a 145.5mm Q factor. 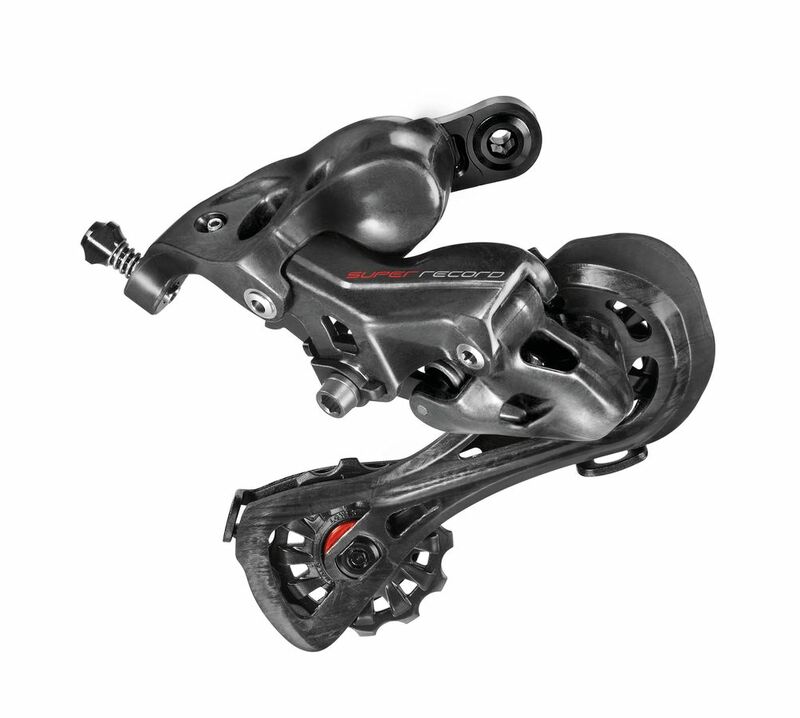 The hydraulic disc brakes are Campy’s high-end H11 flat mount disc brakes introduced last year. The 22mm calipers are compatible a front 160mm rotor and 140 or 160mm rear rotors. As with the previous model, if you want to switch from 140 to 160 (or vice versa) in the rear, you have to use a third-party adapter or get a new caliper. The rotors fit with either CenterLock or AFS hubs and—if you are concerned about that kind of thing—have rounded edges. See the photo gallery below for a look at the new components in the Record and Super Record 12-speed groupset.